An historic Southern California community with roots in rural and agricultural traditions, Yorba Linda has been choked by suburban development over the past few decades. 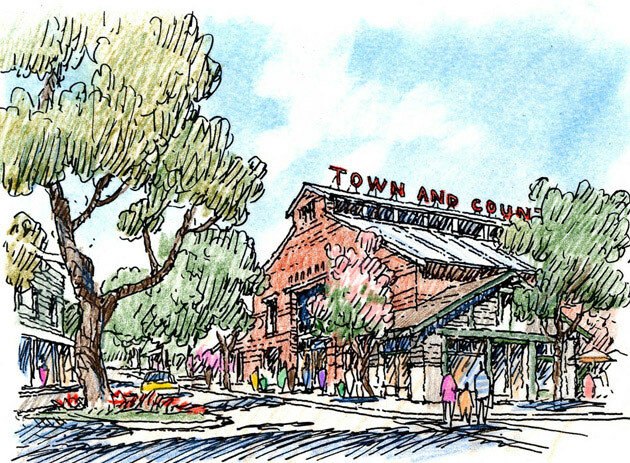 The Downtown Development Plan will guide the revitalization of Yorba Linda's traditional core with a multi-faceted program that addresses retail, housing and civic issues. 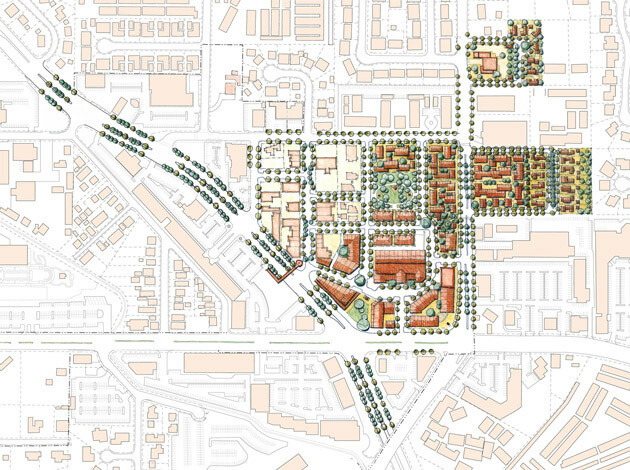 The Plan refines the existing Town Center Master Plan, defining programmatic and typological strategies for reviving the town center. 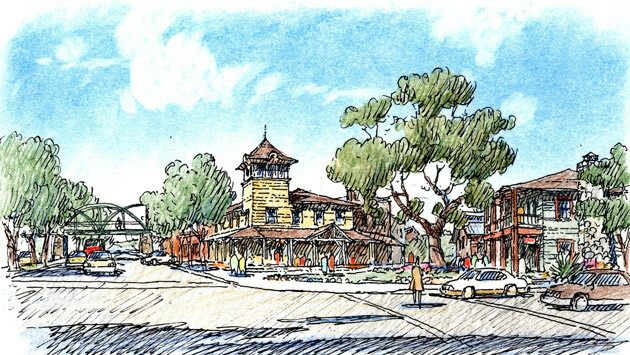 A town square will be the focus of the community, supported by smaller greens and varied streetscapes. Over 200 new dwellings will be distributed throughout downtown, including single-family detached houses, courtyard housing and housing over retail, along with up to 170,000 square feet of new retail and office space. All will be supported by a park-once system comprising two strategically located public garages supported by on-street parking.